With Hurricane Aletta having been downgraded to a tropical storm and posing no significant threat to the Mexican coastline, all eyes are on Hurricane Bud, which appears to be taking aim at the Los Cabos region of Baja California Sur. Aletta, currently located more than 500 miles southwest of Cabo San Lucas at Baja’s tip, was a Category 4 hurricane with 140-mph winds on Friday. Aletta, now boasting 45-mph winds and weakening quickly, did not threaten to make landfall. Bud, however, is taking a more northerly route, closer to Mexico’s west coast. On Sunday evening, Bud was located 235 miles south of the mainland resort city of Manzanillo, boasting sustained gusts of 80 mph. A storm watch was issued from Manzanillo to Cabo Corrientes, just south of Puerto Vallarta. The Florida-based National Hurricane Center predicts that Bud will maintain hurricane strength until late Wednesday afternoon, and reach Baja California Sur as a tropical storm. Bud is predicted to strengthen through Monday, but begin to weaken Tuesday as it reaches cooler water. Rainfall amounts could total 10 inches on the mainland through Tuesday, with a high potential for flash flooding. Heavy surf and powerful storm surges will be felt on the mainland and parts of the Baja California Peninsula. A 424-pound yellowfin tuna, falling just three pounds shy of the world record, was caught Tuesday in the Sea of Cortez beyond the Mexican resort city of Loreto. According to Pisces Sportfishing, the behemoth was landed by Jorge Lazo, of Tijuana, after nearly a two-hour fight aboard the vessel Rampage, captained by Robert Ross. Lazo used a live mackerel as bait, and fought the fish on 50-pound-test line with standup gear. Only a handful of yellowfin tuna have surpassed the 400-pound mark (fish topping 300 pounds are rare). The 427-pound world record yellowfin was caught in 2012 south of Cabo San Lucas, on Baja California’s tip. Loreto, farther up the Baja peninsula, is not widely known as a hotspot for giant yellowfin tuna. But it’s not overlooked by serious tuna anglers. On Monday, Lazo, who is Ross’ son-in-law, caught a 319-pound yellowfin. Ross caught a 267-pounder. Sea Shepherd has released footage showing one of its spy drones being shot down Sunday night by poachers in Mexico’s Sea of Cortez. The conservation group is in the northern Sea of Cortez, or Gulf of California, trying to locate and remove gill-nets that indiscriminately catch critically endangered vaquita porpoises. Late Sunday night, the MV John Paul DeJoria crew used radar and a night-vision drone to locate three skiffs working inside a vast no-fishing zone. Poachers use gill-nets to target totoaba, a type of croaker whose swim bladders fetch thousands of dollars on black markets in China and Hong Kong, where the bladders are believed by some to possess special medicinal powers. In the footage, viewers can see four men on one of the skiffs, which appears illuminated because of night-vision technology. The man in the rear can be seen aiming and shooting at the drone, which is eventually destroyed. “Poachers often conceal themselves in the cover of night, which is what we suspected to be the case here,” Capt. Benoit Sandjian said in a news release. The drone had been shot at by the crew of a different skiff before it was shot down as it hovered about 100 feet above the four men and their net. The Sea Shepherd crew was 1.4 miles away, aboard the John Paul DeJorian, when it realized it had lost the unmanned aircraft. Sea Shepherd said this was the first time poachers had used firearms to try to disable spy drones. Mexico has tried several measures to save the vaquita, and to prevent poaching. But with totoaba bladders in such high-priced demand, illegal fishing within the exclusion zone – often spearheaded by powerful drug cartels – remains problematic. Sea Shepherd is patrolling the exclusion zone in cooperation with the Mexican Navy, in what Sea Shepherd calls Operation Milagro. Rescue teams spent most of Sunday trying to save two large sperm whales that had become stranded in shallow water in La Paz Bay, in Baja California Sur, Mexico. Unfortunately, rescuers were able to pull only the largest whale, measuring 60 feet, to the safety of deep water. The smaller whale, measuring 50 feet, died during an exhaustive effort that involved government agencies and a regional stranding network. Roberto Robles, of the environmental agency Profepa, said the whales were discovered stranded in shallow water in front of Hotel Palmira at about 8 a.m.
Robles stated on Facebook that the whales had become stuck on "a low area” in front of Palmira. It was not clear whether the mammals stranded intentionally or became stuck as a result of the changing tide. Humpback whale sightings are on the rise off Mexico’s west coast, and on Tuesday spectacular footage surfaced showing a mother and week-old calf beneath the surface off Cabo San Lucas. The underwater footage, captured by a guide named Nacho, shows the mother keeping the calf just above her head at the surface, in close proximity to a small boat. Humpback whales that migrate to Mexico each winter – from a region spanning from California to British Columbia – are part of the North Eastern Pacific Population. Primary breeding and nursing areas are off mainland Mexico – notably, Puerto Vallarta’s Banderas Bay. But Cabo San Lucas, at Baja California’s tip, is a prime viewing location during the winter. Whale Watch Cabo logged its mother-and-calf sighting Monday, and released the video Tuesday. Humpback whale newborns typically measure 13-15 feet, and can weigh up to a ton. While nursing, calves can gain as much as 100 pounds per day. Adult humpback whales typically measure 45-50 feet and can weigh as much as 40 tons. Folks in Cabo San Lucas and throughout the Mexican state of Baja California Sur are keeping a close eye on the trajectory of Tropical Storm Lidia. Lidia, which on Wednesday afternoon was generating heavy rain over southwestern Mexico, is the first Eastern North Pacific storm of 2017 poised to impact the resort areas at Baja California's tip. Lidia, which late Wednesday boasted winds of 40 mph, is expected to arrive near Baja California’s tip late Thursday or early Friday. Tracy Ehrenberg, general manager of Pisces Sportfishing in the Cabo San Lucas marina, said Wednesday evening via email that boats were ordered back in port before a 1 p.m. port closure. Mark Rayor, owner of Jen Wren Sportfishing in the East Cape region on the Sea of Cortez, added: "Nothing alarming so far. Just hope the forecast is right and it doesn’t spool up. Kinda like a rattlesnake: doesn’t look that bad but you never know when it will get pissed off." A tropical storm warning was issued Sunday for a portion of mainland Mexico and much of Baja California Sur, including Cabo San Lucas, as Tropical Storm Javier takes aim at the Baja California peninsula. On Sunday afternoon, Javier was located 85 miles southwest of Puerto Vallarta, and traveling west-northwest at mph. Javier boasted winds of 45 mph and was expected to strengthen, but the storm is not expected to attain hurricane strength (74 mph). However, Javier will deliver heavy rain over a vast area – including both sides of the Baja peninsula – and could generate dangerous flooding over the next several days. According to the Florida-based National Hurricane Center, Javier’s center will pass to the west of Baja California's tip beginning Monday. (The Cabo San Lucas port was ordered closed at 5 p.m. Sunday.) Javier is expected to make landfall far to the north, on Wednesday or Thursday. A tropical storm warning is in effect for Manzanillo to Cabo Corrientes (Puerto Vallarta) on the mainland, and from La Paz southward and westward to Santa Fe, including Cabo San Lucas, in Baja California Sur. Javier is expected to remain a tropical storm at least through Wednesday. It’s rare enough to spot a whale shark in the pristine water beyond Cabo San Lucas, Mexico, but to see one swimming inside the marina might be unheard of. “This is a first-time event in Cabo,” Tracy Ehrenberg, general manager of Pisces Sportfishing, said of the Monday morning sighting. The 20-foot whale shark was spotted near the back of the harbor by a man who thought it was a great white shark. "Then we heard that others said no it was a mako... then the truth came out it was actually a WHALE shark... the largest fish on the planet," Pisces stated on Facebook. The footage was captured by Beto Lira, captain of Ruthless. Whale sharks, which can measure to about 40 feet, are the world’s largest fish species. The docile plankton-eaters are also mysterious in that little is known about their migration habits. They're sometimes spotted in the Sea of Cortez, between Cabo San Lucas and La Paz, but not inside harbors, where water quality is diminished. Added Pisces: “The fish actually swam up to the dock where the Pisces boats leave from. It caused a huge amount of excitement amongst the crews as you can tell by the filming. "We were just commenting yesterday how clear and warm the water is and how much bait there is in the marina... not that the whale shark was after them, they are a harmless plankton eater. The only danger they pose is if you are out fishing and collide with them. They are gentle giants. What a marvelous way to start the week. –Note: Whale shark image atop this post is generic. A gray whale believed to be albino has been documented in Scammon’s Lagoon in Baja California, Mexico, for the first time in at least three years. 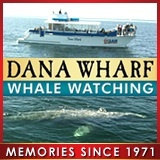 The same whale was spotted in 2008 and 2009, as a juvenile. It might also have been spotted in 2013, according to at least one report. The whale’s identity was confirmed this week by Benito Bermudez, regional director of the National Commission of Natural Protected Areas. Bermudez told BCS Noticas that the whale is albino, not leucistic, a condition also caused by a lack of pigment. However, nobody has provided photos showing pink eyes, which would prove that the cetacean is albino. Bermudez said the whale was most likely born in Scammon’s Lagoon, known locally as Laguna Ojo de Liebre. He said there are only “three or four records” of albino gray whales worldwide. About 21,000 gray whales feed during the summer in Arctic waters, and migrate to Baja California each winter to give birth and nurse their young. The northbound migration is just beginning, and over the next several weeks more than 1,000 gray whale mothers and calves – the last to depart – will begin their 6,500-mile journey to and beyond Alaska. Of course one whale will stand out among the others: the now-famous white whale from Scammon's Lagoon.